As I am composing these Winemaker Notes, the Frogtown’s vines are covered with ice. “Ice Vine,” not Ice Wine. Ice on vines is not a problem so long as the ice does not cause breaking or cracking damage to the shoots and arms. Not many long shoots remain at this time of year. Winter pruning has either reduced the length of last year’s growth (one year old shoots) or reduced last year’s growth to a very short two-bud spur. 2015 Vineyard temperatures have been similar to 2014 temperatures. In 2014, on January 6, 7, and 8 Vineyard low temperatures were recorded at 4, 1, and 11, respectively, Degrees Fahrenheit. In 2015, on January 7, 8, and 9, Vineyard low temperatures were recorded at 9, 6, and 15, respectively, Degrees Fahrenheit. The stated 2014 January temperatures ended the year as the coldest days of 2014. The stated 2015 January temperatures may or may not end as the coldest days in 2015. When temperatures decline into the single digits Fahrenheit vine injury is possible. Temperatures declining to a negative single digit would more probably result in vine injury. Frogtown did experience some vine injury in 2014 from the declining single digit temperatures. The forecast for tomorrow, Thursday, February 19th is single digit low temperatures (5-7 Degrees). Oh well. Cold temperatures above single digits are relatively good for the Vineyard. Such temperatures kill over-wintering molds and mildews and disturb the hibernation and life cycle development of harmful insects. Additionally colder winter temperatures help with fruit development after bud break and at flowering. So cold it is and cold it has been; how cold will it get in 2015 and how long will cold weather continue? Hopefully we will escape frost conditions after bud break in 2015. We could use a break from fighting frost at Frogtown as we did over the last 4 consecutive years! Yes, the blending and bottling of Frogtown 2011 and 2012 vintage red wines commenced in December of 2014, as promised in my December, 2014 Winemakers Notes. Frogtown shall continue the bottling process of our 2011 vintage reds into March of this year. 2014 White wine bottling will commence in April of this year and extend through June or July of 2015. At this time, it appears there will be no Shotgun, Applause, Touché, Tannat, Merlot, Cabernet Sauvignon, Cabernet Franc, or Sangiovese wine made until commencement of bottling the 2013 Vintage wines, most likely from August through the end of this year. Remember, 2012 vintage was painfully small due to a major frost occurring after bud break reducing our harvest to the lowest level since 2007. Yeah, OK, but where is the 2011 Citizen’s Reserve Cabernet Sauvignon? Well, there is a Story. I initially made a Cabernet varietal wine from the Citizen’s 2011 harvested Cabernet Sauvignon. OK, what’s the hold-up? Well, it’s like this, the wine using only Citizen’s Cabernet Sauvignon 2011 harvested grapes is very good wine but I have a strong inclination (no pun intended) I can make this wine better if I blended some 2011 Tannat, 2011 Malbec and 2011 Petit Verdot wine into the Citizen’s Cabernet Sauvignon wine. Unsure as to whether or not I wanted to do a blend containing grapes not harvested by our Citizen’s in a Citizen’s Reserve wine caused me to pause the making of the Citizen’s Reserve wine from 2011. Since the 2011 Vintage would be our first Citizen Reserve wine, I asked myself what should be Frogtown’s model (protocol) for a Citizen’s Reserve wine containing grapes harvested by Frogtown Citizens. This question can be stated a little differently as: Should Frogtown bottle a Reserve Varietal wine made entirely from Citizen harvested grapes or a Reserve Citizen’s Estate wine containing wine made from grapes harvested by our Citizens. Presently, I am testing certain blends from which I will choose a blend that will be the 2011 Reserve Citizen’s Estate wine. Look for the 2011 Frogtown Citizen’s Reserve Estate wine to be available to our Citizens on the weekend of the 2015 Citizen’s Harvest Day with Craig in September of this year. Cydney and I have desired to upgrade the bottle used for our red wines. With the bottling of the 2011 and 2012 Vintage wines, Frogtown has substantially upgraded the bottles used and in some cases made modifications to its labels. We are utilizing two new Bordeaux styled bottles for most of our Frogtown labeled red wines. The red wines included in this shipment are bottled in a new heavier 870-gram Bordeaux bottle. The prior Bordeaux bottle weighed 545 grams. Additionally the new 870-gram Bordeaux bottle is darker than the previously used 545-gram bottle. We are very excited about this bottle. We did not stop at the 870-gram bottle. Frogtown also bottled the 2011 Frogtown Propaganda and will bottle all Reserve wines in a 970-gram bottle. Besides being a little heaver than the 870-gram bottle, the new 970-gram bottle has a more defined taper from the shoulder to the foot and a deeper punt. I like to think of this as sexier. Enough said without being accused of something I am not. These upgrades have been more than over-due. Since our wines compete very favorably with premium California wines, the new Bordeaux styled bottles containing our red wines also comports with the style of bottles used by wineries in California for premium and ultra premium red wines. Commencing with wines from the 2011 or 2012 Vintage please be careful in lifting a case of Frogtown red wines. The added bottle weight does result in a noticeable heavier weight of the bottled wine and, importantly, a case of such wine, notwithstanding the wine in the bottle remains 750 ml. I was not comfortable Frogtown would be able to label all of this Shipment’s wines by Noon on Saturday, February 14, 2015 for pick-up on Saturday, the date of the Valentines Dinner, and on Sunday, the date of the Valentines Brunch. My guys and I were working feverishly to make this happen. Since we did receive the labels on Tuesday, February 10th, I knew that I could, if necessary, hand label the released wines paired with some of the food items on the Valentines Day Dinner and the Valentines Day Brunch. Well, we did complete the labeling of the Shipment wines right at noon on Valentines Day. Three of this Shipments wines were paired with dishes served at the Valentines Dinner and Brunch. These wines were the 2012 Frogtown Compulsion, the 2013 Frogtown Petit Manseng, and the 2012 Frogtown Disclosure Chardonnay (barrel fermented). I was extremely gratified by the reaction of our Citizens attending the dinner and the brunch to these wines. This was particularly so with regard to the 2012 Frogtown Compulsion, an East Coast West Coast wine. Discussion of Compulsion, an East Coast, West Coast, Wine – Convergence, a West Coast, East Coast Wine – and Disclosure labeled Wines. Our First Compulsion and First Convergence were made and released in 2010. At the time of the release of these wines, the TTB, for some reason unknown to me did not allow placing a vintage dating on American labeled wines. This administrative regulation was changed in 2012. That is why Frogtown used the designation “First” for each of these wines in 2010 and why the new Compulsion and Convergence wines are labeled with a 2012 Vintage. The First Compulsion and First Convergence wines won Gold Medals in California, and with regard to Compulsion, won a Platinum Medal at a major California competition (well using the word “major” is redundant, since all California Competitions to which Frogtown submits its wines are the most major competitions in the Country). It was an easy decision for me to purchase 2012 Merlot grapes and 2012 Chardonnay grapes from a friend of mine farming grapes in the Dry Creek AVA of Sonoma County, California. What happened in 2012? Freeze, drastically reduced harvest. Frogtown was ripe (pun intended) for some red grapes from California. Also in 2012, I committed to Wolf Mountain to sell practically all of our Chardonnay grapes harvested in 2012, 2013, and 2014, while Frogtown’s new Chardonnay vines were planted and maturing. I wanted Wolf Mountain’s sparkling wine production to remain 100% Georgia. As a result of the bankruptcy of Blackstock, the only way to maintain a sparkling wine production at Wolf Mountain to be all Georgia framed grapes was this commitment by Frogtown. So, again Frogtown was also ripe for getting Chardonnay grapes from California to replace the grapes sold to Wolf Mountain. The making of the Compulsion, Convergence, Disclosure Merlot, Disclosure Chardonnay (barrel fermented) and the Disclosure Steel Chardonnay, also afforded Frogtown the continuing ability to distinguish Frogtown’s labeling practices from other wineries on the East Coast, including Georgia.  Any Frogtown wine containing even one grape grown in California is labeled American Wine, not Georgia Wine. Additionally, I enjoy making these American Wines. A selection of wines (do not know if the Federal Government will allow an estate designation on an American labeled wine) from grapes grown at its Dahlonega Plateau and Adelaida, Paso Robles, estate vineyards and made in our Dahlonega winery. Neat, would be an appropriate descriptor!!! Notice that I have used the AVA designation of the Dahlonega Plateau in describing above grapes grown at our Dahlonega vineyard. I am excited to report an Application will be filed in March of this year with the Federal TTB, stating the case for, and requesting the issuance of, the Dahlonega Plateau AVA. Joseph Forrest, a geologist preparing the Application has been very receptive to Frogtown’s extensive input in stating the case for the creation of the Dahlonega Plateau as an American Viticultural Area as well as the delineation of the area encompassing the Dahlonega Plateau, AVA. Joe Forrest has done an excellent job on compiling and presenting the information why, and stating the case for, the creation of the Dahlonega Plateau AVA. Each of the red wines included in this shipment have been bottled within 10 weeks of its release. Due to the transportation of such red wines and the red wines recent bottling and storage in a facility in the middle of the winter, these very young wines will benefit by storing them in a place at room temperature for at least one week before you enjoy a bottle. This is not a necessity, just a suggestion. Those Citizens who enjoyed the 2012 Frogtown Compulsion at Valentines Dinner or Brunch, along with the 2013 Frogtown Petit Manseng and the 2012 Frogtown Disclosure Chardonnay (barrel fermented) or enjoyed a tasting of the 2012 Frogtown Convergence or the 2011 Frogtown Audacity have been very complementary about these wines. You will enjoy these wines whenever you taste them. Each of the white wines included in this shipment were bottled 4 to 6 months prior to their release. Consequently these wines have matured in the bottle for a period of time greater than the red wines. Nonetheless, a period of settling of these wines after their delivery to your house will aid in the enjoyment of these wines. I have prepared an Addendum to these Winemaker Notes to provide our Citizens with information as to what to expect from opening and enjoying a bottle of Frogtown wine, as the wine moves though the phases of maturity mentioned in the Addendum. At the beginning of the Addendum, I have provided information concerning the term “Bottle Shock,” the real bottle shock, that is, not the movie, which provided a jaded and an extremely unfortunate misrepresentation of Merlot wines. I intend to attach this Addendum to all subsequent Winemaker Notes as a reference source for our Citizens on drinking Frogtown wines, including newly made and transported wines, and the effect moderate and long-term bottle aging has on Frogtown wines. Citizens receiving three bottles of red wines will receive a bottle of 2012 Frogtown Compulsion ($37.99), a bottle of 2012 Frogtown Convergence ($37.99), and a bottle of 2011 Frogtown Audacity ($33.99). Citizens receiving these red wines enjoy a discount of 20% to reduce the Citizen cost for pick-up of $94.13, which includes sales tax, and the addition of $12.84 shipping (we now must charge sales tax on shipping) results in a cost for these wines shipped of $106.97. Citizens receiving these red and white wines enjoy a discount of 20% to reduce the Citizen cost for pick-up of $89.00, which includes sales tax and the addition of $12.84 shipping (again, we must now charge sales tax on shipping) results in a cost for these wines shipped of $101.84. Citizens receiving three bottles of white wines are receiving a bottle of the Frogtown 2013 Petit Manseng ($27.99), a bottle of the 2012 Frogtown Disclosure Chardonnay; barrel fermented ($28.99), and a bottle of the 2012 Frogtown Disclosure Steel Chardonnay ($24.99). Citizens receiving these three white wines shall enjoy will a discount of 20% to reduce the Citizen cost of these wines to $70.17, which includes sales tax and the addition of $12.84 shipping (again, we must now charge sales tax on shipping) results in a cost of these wines shipped of $83.01. Cydney and I, along with Nettie, Wendy, Jordan, and Jackie, wish each and every one of our Citizens continued good health and good Cheer and the enjoyment of Frogtown Wines!!! !